Tea tree oil is an essential oil that is a part of many cosmetic formulations. The essential oil is antiseptic, anti-microbial and anti-inflammatory. Thus the oil finds its way in many acne medications in order to soothe the inflammation and also to control the acne causing bacteria. The essential oil works wonderfully in controlling the sebum that is secreted by the skin, making it an ideal choice for cosmetics targeting women with oily skin. One of the best ways to include tea tree oil in your daily skin care regime is to use a tea tree oil face wash, so that every wash gives you clearer and oil-free skin. Here is our pick of the top 7 tea tree oil face washes in India. The Body Shop Tea Tree Skin Clearing Facial Wash is a face wash that washes off excess oil from your skin so that you are not prone to acne or pimples. If you do have acne or pimples, then it kills the pimple causing bacteria in order to finish off the root cause of the pimples. It is mild for daily use and gives you skin that radiates health. It is priced at Rs. 695 for 250 ml. 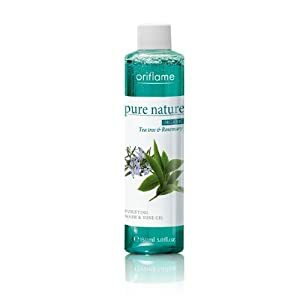 The Oriflame Pure Nature Organic Tea Tree and Rosemary Face Wash is a popular face wash among women suffering from acne. The 2-in-1 gel lathers well to remove impurities and excess sebum from the skin, thereby helping in clearing the blemishes on the skin. Many women have vouched that it helps get rid of pimples within a week of use. It is priced at Rs. 349 for 150 ml. The Fabindia Tea Tree Face wash is an oily skin face wash that has antiseptic properties of tea tree and turmeric. It helps in clearing excess sebum from the skin and also in reducing acne and pimples. It is priced at Rs. 165 for 120 ml. 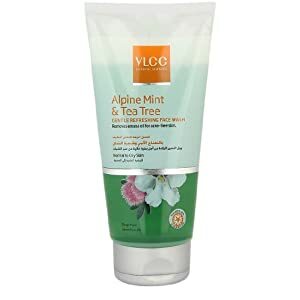 The VLCC Alpine Mint and Tea Tree Face wash is made for oily skin and helps remove excess sebum from the skin to give you oil-free and shine-free skin. It fights against blemishes and large pores. The face wash has cellulose granules which helps in skin whitening . It is priced at Rs. 225 for 175 ml. 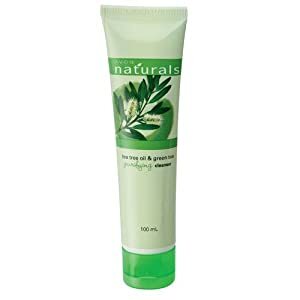 The Avon Purifying Tea Tree Oil and Green Tea Face Wash is a transparent gel with micro beads that helps in deep cleaning the skin and removing excess dirt and impurities. It lathers well and does not leave your skin tight or dry afterwards. It is priced at Rs. 169 for 100 ml. 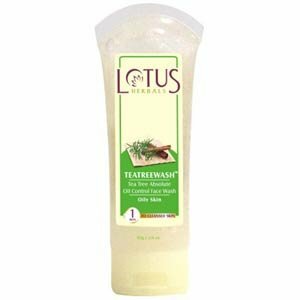 The Lotus Herbals Tea Tree Wash has tea tree and cinnamon extracts that help in controlling the sebum production in the skin. Both of them have antiseptic properties and prevent acne and pimples. The face wash has oak bark extracts which helps in scrubbing the skin free of any dirt, impurities or dead cells. The face wash is priced at Rs. 160 for 120 gm. The Jovees Tea Tree Face wash deep cleanses the skin to give it a fresh look. It has cucumber extracts in it that help in removing excess oil from the skin. The apple juice in the face wash boosts the pH and maintains the natural balance of the skin. It is priced at Rs. 115 for 120 ml.